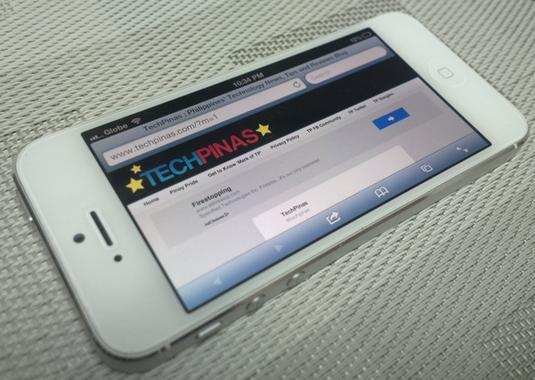 Globe iPhone 5 LTE Frequently Asked Questions, Answered! TechPinas Exclusive! Collated all the Globe iPhone 5 LTE questions that you emailed me the past week, chose the most frequently asked ones, and sent them to Globe Telecom Corporate Communications team yesterday. 1. How can subscribers get it? Upgrade iOS software to iOS6.1, get an LTE Nano-SIM, and use your iPhone 5 in an LTE-covered area. 2. Will it be available to prepaid and postpaid subscribers? Only for postpaid. LTE Nano-SIM and activation are free of charge. 3. Do they need to change their SIM to get it? Yes. Subscribers need to upgrade to LTE Nano-SIM. 4. Will it be a free upgrade? 5. If not, up to when will it be free? 6. Can users across the Philippines enjoy LTE speeds? For now, we have limited LTE coverage across the country. Select areas in Makati, Manila, Pasig City, Quezon City, Taguig City, Muntinlupa, Mandaluyong, Cebu City, and Boracay are covered. 7. If they want to keep LTE speeds, how much will the new plan cost? No need to upgrade to a new plan. 8. Up to what speeds can users expect to get from their new Globe iPhone 5 LTE phones? If you have additional questions and clarifications, kindly leave them in this post's comments section and I'll try to forward them to Globe Telecom soonest. To those who are already enjoying LTE speeds on their Globe iPhone 5 smartphones, what can you say about the upgrade process and the connection itself? Are you satisfied with the service? Share your thoughts below.